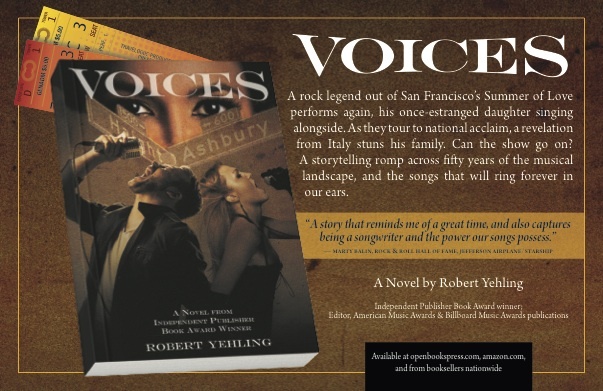 Many have asked how my new novel, Voices came to be, and why it flashes back to the #SummerOfLove (which is celebrating 50 years with events nationwide this summer and fall). I’d love to tell you I wrote it quickly, fueled by my lifelong love of rock, folk and blues music, particularly classic rock. Truth is, because of that lifelong love, and the ever-changing face of the music world, Voices went through several phases, a dozen rewrites, and painstaking edits in the 15 years it took off-and-on to bring the idea into finished book form. 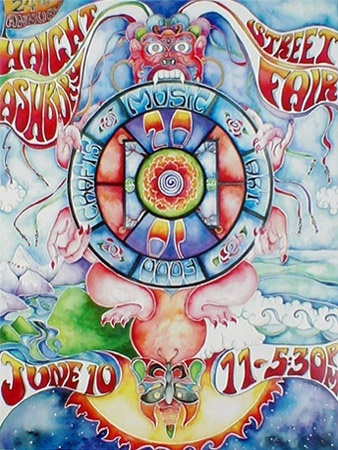 The 2001 Haight Street Fair poster — they’ve been colorful for all 40 years of this fair. Created by KA Hempel. 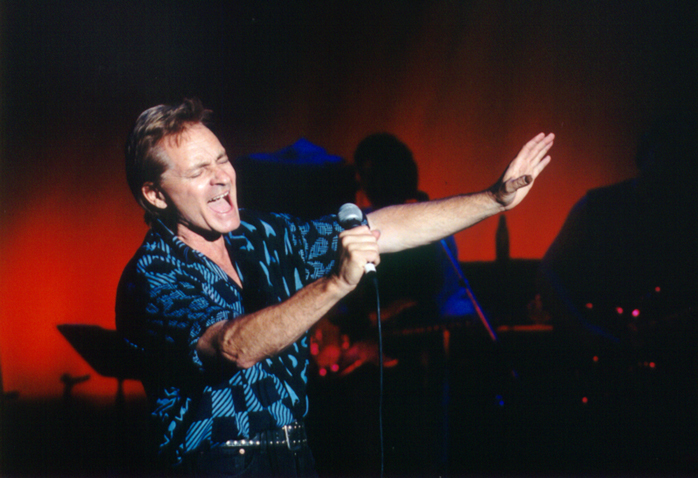 The book’s genesis is a walk that Rock & Roll Hall of Famer Marty Balin and I took down Haight Street in June, 2001. 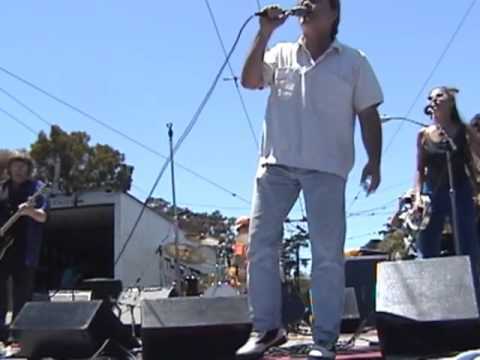 As we walked toward the converted flatbed truck stage where Marty and his Jefferson Starship bandmates were about to headline the Haight Street Fair, Marty alternately greeted fans and talked with me about his memoir, Full Flight, on which we were working. “Sounds good… what’s the deal with the musician and his daughters?” Marty asked. “Well, he’s tight with one and not so much with the other… creates the emotional tension,” I said. Interesting. Talk about emotional tension. How about gut-wrenching? “How did that impact their music?” I asked. We walked by several Haight Street novelty and head shops, three of which had something familiar in the window — my fairly recent cover story on Marty for a prominent magazine. As one who missed the age curve on the Summer of Love, the epochal period from 1965 through 1967 in which psychedelic rock, free love, expanded consciousness, yoga, political activism and creative expression resonated from San Francisco like a shock wave, I was blown away. I was walking down Haight Street with the man who coined “psychedelic rock” in a 1965 interview with a Dallas newspaper; whose nightclub, The Matrix, was the first in San Francisco to openly welcome electric instruments; whose band, Jefferson Airplane, launched both the San Francisco scene and psychedelic rock nationally; and whose vocal prowess as a high tenor and lyrical powers as a balladeer knew few peers. It felt surreal. Don’t wake me up when this dream is over. With that, I went to work, but not before promising Marty one thing: Our walk would be memorialized in the novel (a fictional version is the lead chapter of Part 2). So is something he did in concert that afternoon, the nicest thing I’ve seen a rock musician do live: Grab a roadie’s cell phone, and personally serenade the roadie’s wife with Marty’s mega-hit “Miracles” while also singing to 50,000 screaming fans on the street. Our walk became the launching pad for Voices. While the story has taken several twists and turns since, the essential storyline is much as we left it that day: A father-daughter-lost daughter relationship story set against a summer reunion tour by a legendary band, recalling 50 years of American pop, blues, folk and rock music along the way. It’s out for the 50th anniversary of the Summer of Love —where the protagonist, Tom Timoreaux, and his bandmates first gathered. Voices is seeded with more than 70 accounts of actual musical events and moments — though I’ve taken care to fictionalize and wrap them around the characters. Marty’s cell phone serenade is one, the walk down Haight Street another. The reason? Rock and roll is full of countless moments that you just can’t make up… and we all love a good rock and roll story. Hope you enjoy Voices, and post a quick review on Amazon or Goodreads if you have the chance. It’s available at all online booksellers in print and e-book form, and through bookstores nationwide. An audiobook is in the works, to be released later in 2017 or early 2018. NEXT IN THE WORD JOURNEYS BLOG: The Word Journeys Beach Read Showcase, a three-blog review of books well worth taking to the beach, including a word from their authors. As some of you know, I’ve been quite busy writing about music. There is a certain depth and lushness to words that describe great pieces of music, and the singers, songwriters and musicians who bring them to our ears. My music writing days go back to the beginning, when I was the second teenaged journalist allowed backstage at San Diego Sports Arena (or whatever it’s called now) to interview bands. Cameron Crowe was the first, two years before me. Cameron had had a nice career arc, writing for Rolling Stone at 14, then writing Fast Times at Ridgemont High, Jerry Maguire, and one of my favorites Almost Famous. If anything put a lump in my throat, it was Almost Famous — especially the scene of the young writer William Miller trying to get backstage in San Diego. That same backstage door has opened for me… and it has closed, too. More recently, I finished my novel, Voices, a father-daughter-daughter story set against a reunion tour by a legendary rock band. This took seemingly forever to write, mainly because I loved soaking into the musical atmosphere so much, and tinkering with the 50 songs I wrote in the personae of my protagonists (Tom and Christine Timoreaux). I couldn’t let it go — something I do not advise my clients to do. When you hold onto it too long, what looked good turns into an automatic rewrite. We’ve grown as people and authors, and we see things a bit differently — no matter how long the manuscript has been in the drawer. 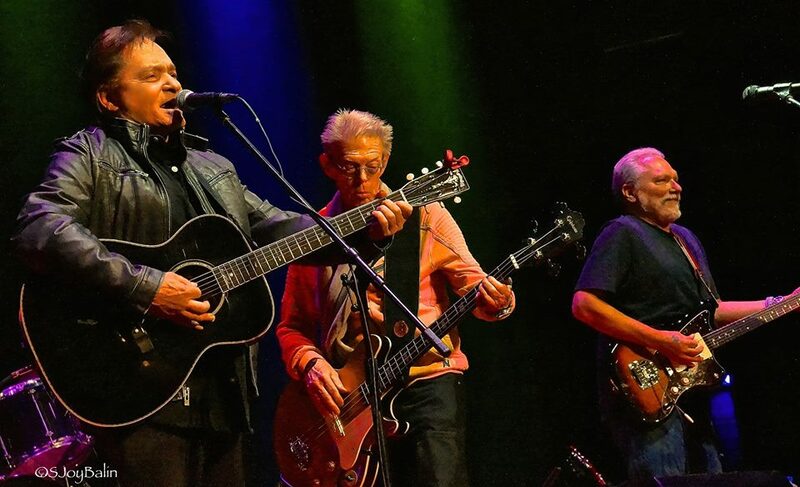 Marty Balin (left) playing in April 2015 with Jefferson Airplane bandmates Jack Casady (center) and Jorma Kaukonen. Jefferson Airplane’s first concert was August 13, 1965. To give you an idea, I first came up with this idea in 2001, when Jefferson Airplane founder and Rock & Roll Hall of Famer Marty Balin and I were walking down Haight Street in San Francisco, talking about his memoir. I told him I wanted to write a novel called “The Voice” — his nickname when psychedelic rock launched in San Francisco 50 years ago. He gave me some great ideas, not to mention stories to repurpose. Fourteen years later, it’s going to see the light of day. Look for it soon. Speaking of Marty, I’m preparing to reconfigure and expand his memoir we wrote in 2002 into a full-fledged biography. When you peel away the claims of people who say they launched psychedelic rock, one name stands above all: Marty (also, a nod to the band The Charlatans). He was the catalyst for psychedelic rock and the Summer of Love. 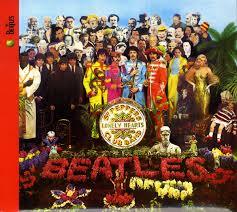 He was the first to use the term “psychedelic rock” publicly. His band, Jefferson Airplane, was the flagship group of 1965-67, #2 among all rock bands in album sales, topped only by The Beatles. 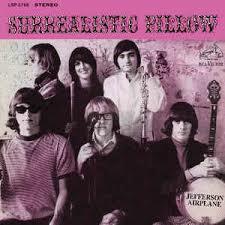 The Airplane was the first San Francisco psychedelic band to get a major album deal. In fact, they were the official headliners at Woodstock! Marty also owned The Matrix, which in 1965 was one of few places to allow electric instruments. 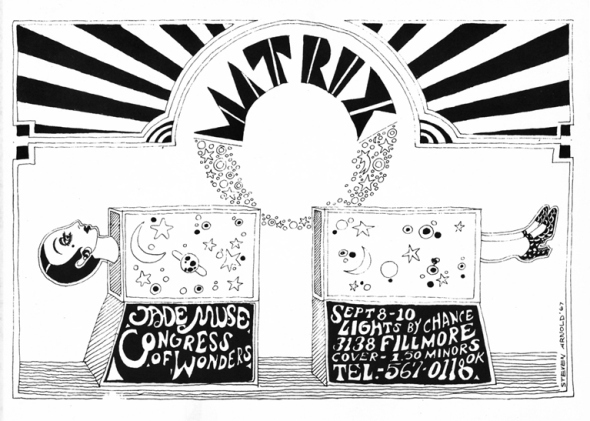 It also was the first SF stop for many bands, including The Doors, Steve Miller, Love, and many more. Behind it all was this quiet man with a high tenor voice implanted by the angels. His ballads, particularly “Coming Back to Me”, “Count on Me” and “Miracles”, are on more than 50 film soundtracks. Now, Marty is going to finally get the credit he’s deserved for 50 years, though he’s far too humble to claim it himself. Then there’s a real labor of love, helping my longtime friend Robert Munger on his music-oriented screenplay. Can’t go into detail right now, but we’re wrapping the first draft of the script, and then polishing it. Finally, my new client Lory Jones presented me with an awesome novel to edit, and I mean awesome. It’s centered on a famous 18th-19th century composer, but you’ll have to guess which of the Big Five since I’m not at liberty to discuss. I love classical music almost as much as rock, especially the way it takes us on journeys one minute, and into full appreciation of the grandiosity of the musicianship the next. The Big Five were the rock stars of their era — Bach, Mozart, Beethoven, Schubert and Haydn (or Liszt, Vivaldi, or Handel; take your choice). Why do I love music writing so much? For starters, music is my hobby, poetry is my passion, and music ties them together. I love all parts of it —composition, instrumentation, delivery, shaping of performances, emotion it engenders, and of course, the lyrics. Whenever I write about music, I’m mindful of the dual origin of lyric and music in the west, through the magical pen of Sappho, the 7th Century BCE Greek genius. She wrote in lyrics, poems and short prose, and her successors took her example into both writing and music. Most of all, I love the personalities and stories behind songs and bands, and we all know that great stories make great reading. Music, like surfing, baseball and art, cranks out endless great stories. When you put these together, the story can resonate with millions — because we all like music. It is the world’s most universal language, and I like using my writing to prompt that deeper, unspoken form of communication we all instinctively and intuitively understand. As you start figuring out your summer reading choices, I invite you to pick up When We Were The Boys this year, and look for chapter excerpts from Voices and the Marty Balin biography on wordjourneys.com and Scribd.com as we close in on publishing dates that are ideal for any music book — tied to the Golden Anniversary of psychedelic rock and, in 2017, the Summer of Love. Most of us experience transformational moments when everything changes, we find and pursue another direction, and our old ways feel like an existence someone else led. Few, if any, of these transformations can match the one that brought Kevin Hines to his current station in life. Hines, author of the fabulous memoir Cracked, Not Broken, never intended to live “two lives”, but because he has, the world is benefitting from this dynamic self-help speaker and author. His book, published by Rowman-Littlefield’s Taylor Trade imprint, is now in its 20th printing, less than two years after its July 2013 release. 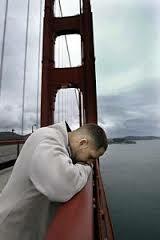 It takes four seconds to fall into San Francisco Bay’s hard, chilly waters at a speed reaching 80 mph on impact. During his final two or three seconds, Hines twisted his body to minimize impact. Still, he was seriously injured, and had trouble staying afloat. Enter a sea lion. Really. The animal sensed Hines’ distress, swam under him, and lifted him above the surface until a Coast Guard cutter arrived. If you’re counting, that’s three miracles in roughly a minute. Almost fifteen years after his jump, Hines has turned his experience into a highly successful suicide prevention and self-esteem message, which he delivers with presentations, talks, and signings around the world (watch this video). How many authors can say they’ve been on the road with their book for two solid years, in more than twenty different countries? If you’ve had books on store shelves, or have spoken with books to sell in the back, you know these are phenomenal numbers. Cracked, Not Broken is also reaching far beyond bookstores. A psychiatric unit on the East Coast provides books to all inpatients, who use them daily to understand and work with their mental afflictions. Most recently, he spent two weeks in Australia, speaking to groups ranging from high schoolers, young miners, and crisis intervention teams, to hostage negotiators at the International Police Officers Conference. That’s variety, as well as a lesson in author-driven book marketing. But that’s not the best story. That belongs to initiative his wife, Margaret, took. “I walked into a bookstore in Dublin, Ireland, and my wife said, ‘See if they’ll carry your book.’ I got the assistant manager, who asked if it had an ISBN number. I said ‘yes’, although at the time, I had no idea. She called it up and ordered 50 copies,” Hines said. 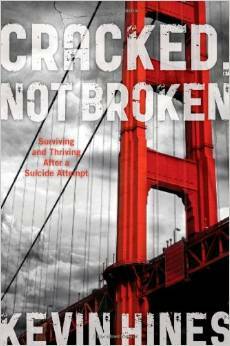 Cracked, Not Broken is remarkable for Hines’ honesty and insight into his transformation. He continues to live with his illness while funneling his energy into a most noble, challenging cause — showing people their lives have a purpose. This, to me, makes the book. Too many transformational memoirs are black-and-white: someone has major trouble, then a crisis or an epiphany; afterwards, everything is perfect. Hines takes us deep inside the real inner world of recovery and transformation. It is a constant struggle to hold up one’s head sometimes, but by staying strong and finding a sense of purpose, living one day at a time (or one minute, sometimes), and helping others, that struggle can transform into a great work — and a happiness and fulfillment not known before. “What people like is that Cracked, Not Broken is very specific, and it helped me bring up things that happened in my past,” Hines said. “It’s my perspective. As I wrote it, it helped me grow and become a better person. I’ve worked with and have known several thousand authors, and without question, this man has presented one of the most incredible stories. I also had the pleasure of working with Hines on his earlier drafts. 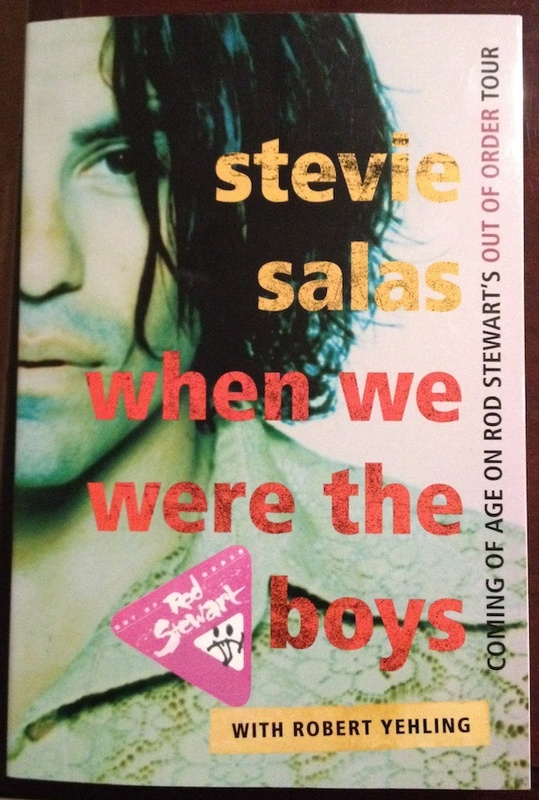 He and I have a publisher in common, Taylor Trade (Rowman-Littlefield), which also published When We Were The Boys, which I co-authored with Stevie Salas. We also have the same literary agent, Dana Newman. Hines plans to write several more books, all of which he’s roughly outlined. He’s now coming out of the blocks with his next book, which he hopes will be published in 2016. Whenever I travel to San Francisco, one of my favorite cities in the world, I make sure to pay homage to the roots of my craft near the intersection of Columbus & Grant, where North Beach and Chinatown intersect. It is a simple little tour, really: just three places. 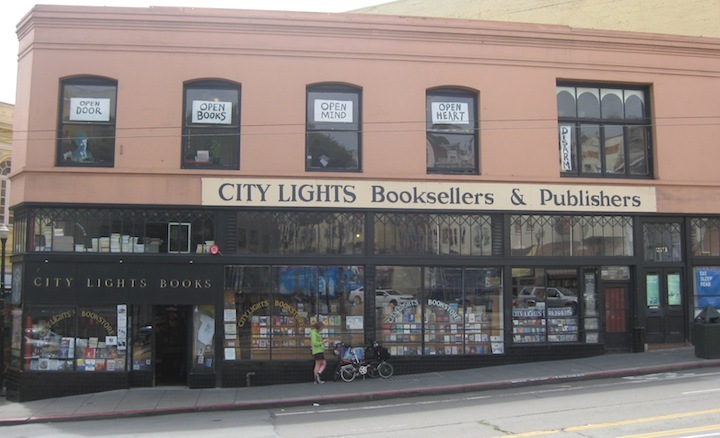 The first, City Lights Books, is a wonderful patchwork of angles, stories, perches, step-ups, cellars and basements loaded with books you may not find anywhere else. 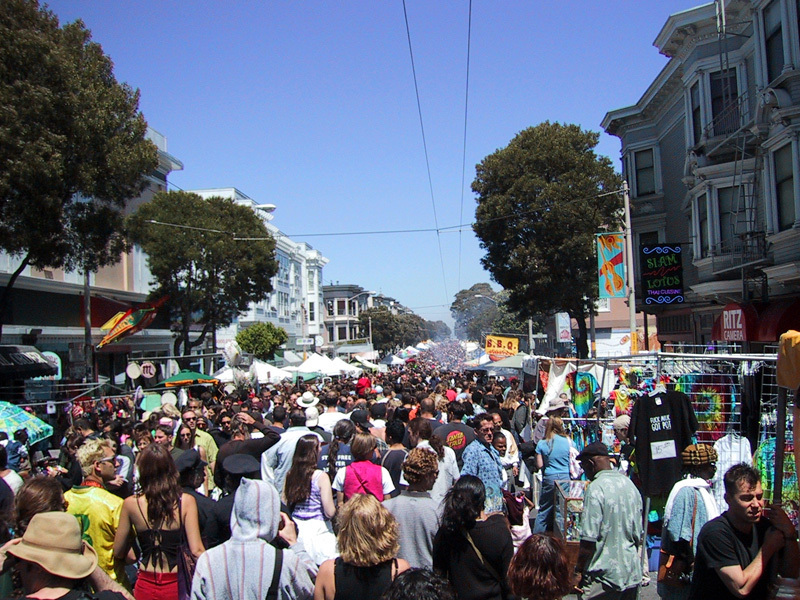 It is also home base to celebrated poet and publisher Lawrence Ferlinghetti, who spent the 1950s writing poetry collections, turning a half-dozen unknown writers into the famed San Francisco Renaissance crew (or West Coast Beats), and taking on the U.S. Supreme Court when they censored his publication of Henry Miller. Now 95, Ferlinghetti is a hawk of a man, tall, imposing and imperious when crossed. He and my old friend, Pulitzer Prize-winning poet Gary Snyder, still read together once every October. Every time we write a page, article or book with anything we want to say, and then publish it, we’re reminded of who won that landmark censorship battle that culminated in 1961. It wasn’t the Supreme Court. 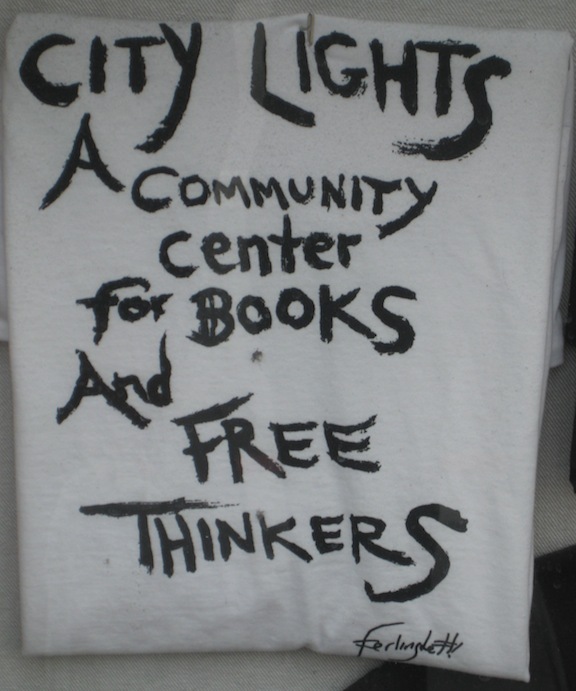 City Lights is my favorite bookstore, the bookstore that sparks me every time I walk through its doors. Now 60 years old, it is what an independent bookstore is all about — distinct character and personality, books carefully chosen by a well-read staff, a sanctuary of the written word, and the hub of a great writing community and movement. It is the best store to buy Beat literature in the world. Its selection of poetry, novels and literature reflects an open-minded, story-crafting, intelligence-promoting approach that is, well, the only approach that should ever matter in a society. My favorite City Lights moment came in 2001. I walked into the store with Marty Balin, the Rock & Roll Hall of Fame lead singer (and founder) of Jefferson Airplane, as well as Jefferson Starship. 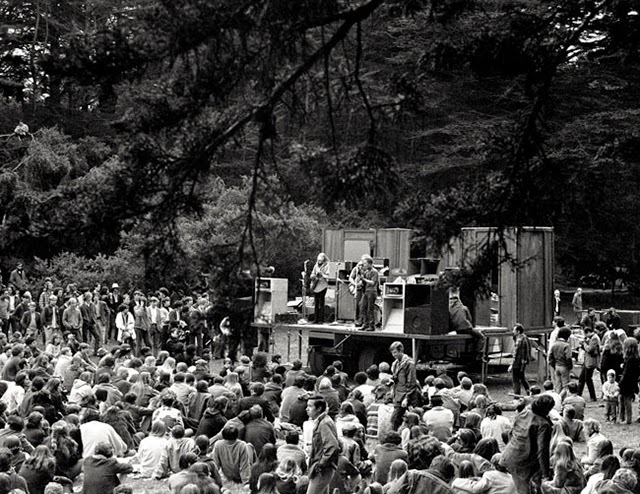 During their San Francisco concerts in the wild 1960s, bands used to ask poets to open their shows — celebrations of light, spoken word, dancing and music. Ferlinghetti was the Airplane’s designated poet on several occasions. 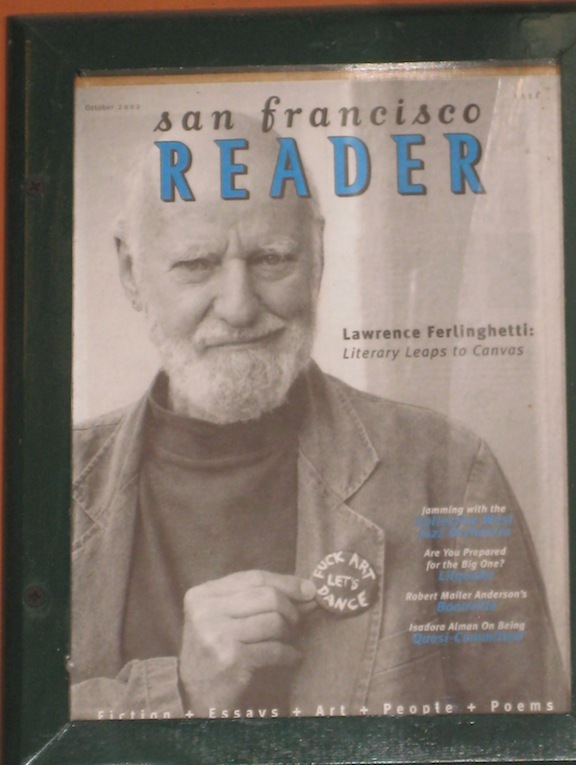 As we walked inside, there was Ferlinghetti, perched in the checkout area. Marty and Ferlinghetti hadn’t seen each other in twenty years. Immediately, I felt like the luckiest fly on the wall as they caught up and discussed music, literature, and reminisced about those early concerts at Longshoreman’s Hall, the Matrix and The (original) Fillmore. If the walls of Vesuvio’s could talk, who would ever leave? 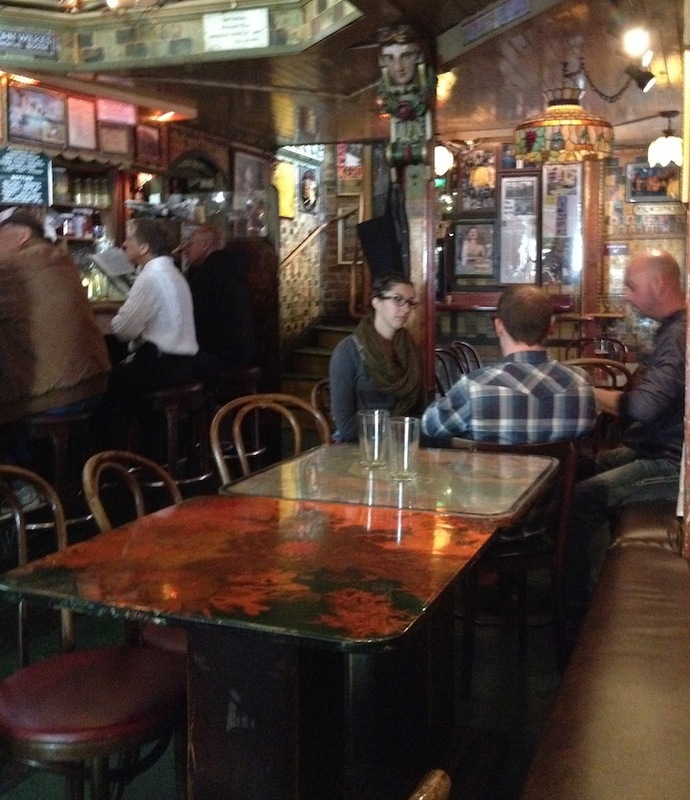 Across the street from City Lights is Vesuvio’s, the colorful two-story pub that served as Jack Kerouac’s watering hole during his trips to San Francisco. Hemingway had Sloppy Joe’s in Key West, Henry James had the White House Tavern in New York City, and Kerouac had Vesuvio’s. He percolated large parts of On The Road, The Dharma Bums and other novels while sitting inside. 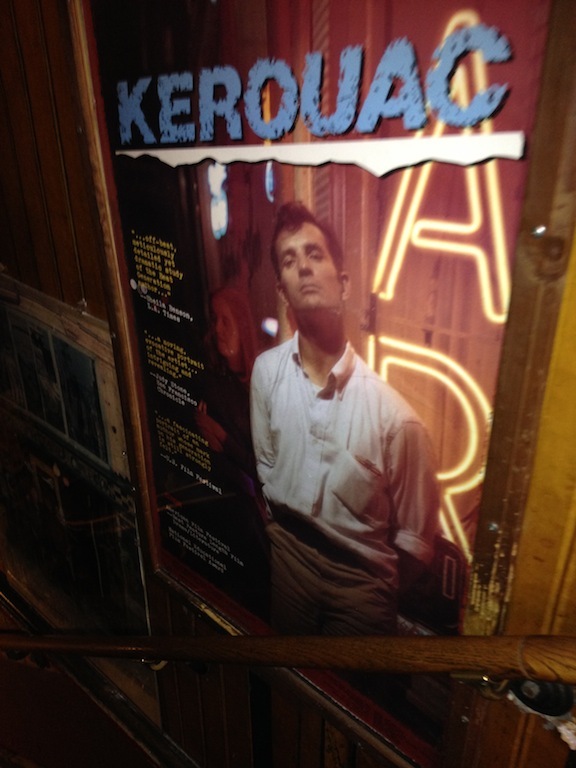 Now, the place is lined with classic photos from the Beat generation, along with posters of Mae West, Janis Joplin, and other adornments that were part of the bar Kerouac knew. It looked like a few patrons and bottles of ancient booze on the shelves had never left, too. 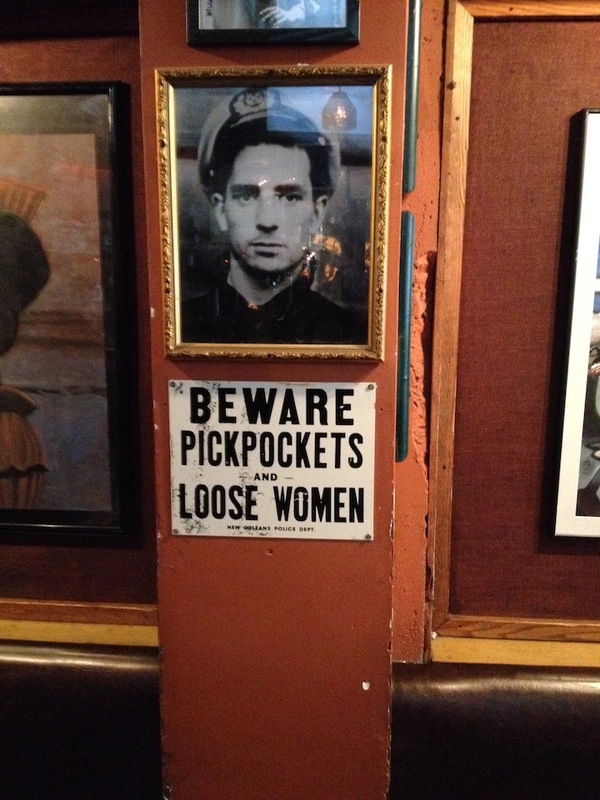 The patron saint of Kerouac Way, which splits City Lights & Vesuvio’s and leads to Chinatown. After that, we took our haul of books a hundred yards to Vital Tea Leaf, located in the middle of Chinatown. (Gotta love the way ethnic neighborhoods run into each other in San Francisco, so effortlessly, without fences or borders.) Our old friend, the 83-year-old proprietor with a sailor’s tongue and a sage’s wisdom, greeted us with hugs at the door. We then spent the next 90 minutes tasting teas made of nectar and gold (so it seemed), and listening to him mix insightful history and preparation tips with playful poking at customers as they walked inside. I find Chinese tea opens up the creative pores in a way that makes verse and prose pour from mind, body and soul; it is always my chosen drink when writing. So, I loaded up with pu’erh, milk oolong, cloud mist and lapsang souchong (the smoky tea), heard our host’s stories about each (cloud mist grows at 8,000 feet, for example), and headed off to write a few of my own. To me, Columbus & Grant is not only the junction of ancient and modern literature, or the crossroads of shih and Beat writing and poetry. It is also the shining beacon that reminds me of two endangered species — the independent bookstore and freedom of written expression. As we move into National Poetry Month, we’re reminded of the treasures men and women have written for thousands of years. And the inalienable right and freedom to do so. That’s worth honoring in the best way possible — by writing. Closing out a month that I will forever remember as the Month of Voluminous Editing. Never have I worked on so many great books simultaneously – novels, memoirs, travel narratives, my own projects. It just goes to show that, in this age where traditional publishing, self-publishing and e-publishing all offer viable paths of publishing success, good writing will rule out in the end. There will never be any shortage of well-written, well-conceived books. In fact, from where I sit, it seems that we’re back on an upward curve when it comes to overall quality of writing. Let’s keep it up. The first is The Hummingbird Review, the literary journal for which I’ve been editor for three years (except for the Spring 2012 issue, when I was teaching at Ananda College). Publisher, poet and author Charles Redner, who always keeps part of his heart attached to his dramatic arts past, decided to paint a Hollywood theme this time – combining movies and literature. For his part, Charlie wrote a short piece on those dramatic arts days … and a fine actor who emerged from his class. (I’m not telling you: you’ll have to read The Hummingbird Review). The result is the Spring 2013 issue, our annual National Poetry Month issue, which features Hollywood-themed poetry and essays by our esteemed cast of new and established authors, including Dances With Wolves author Michael Blake, extraordinary poet Martin Espada, screenwriters Adam Rodman and David Milton, and a special lyrics package from my friend and client Stevie Salas, who scored Bill & Ted’s Excellent Adventurein the late 1980s as his musical career was beginning to take off. Now Stevie is producing a documentary film on Native Americans in rock and pop music. 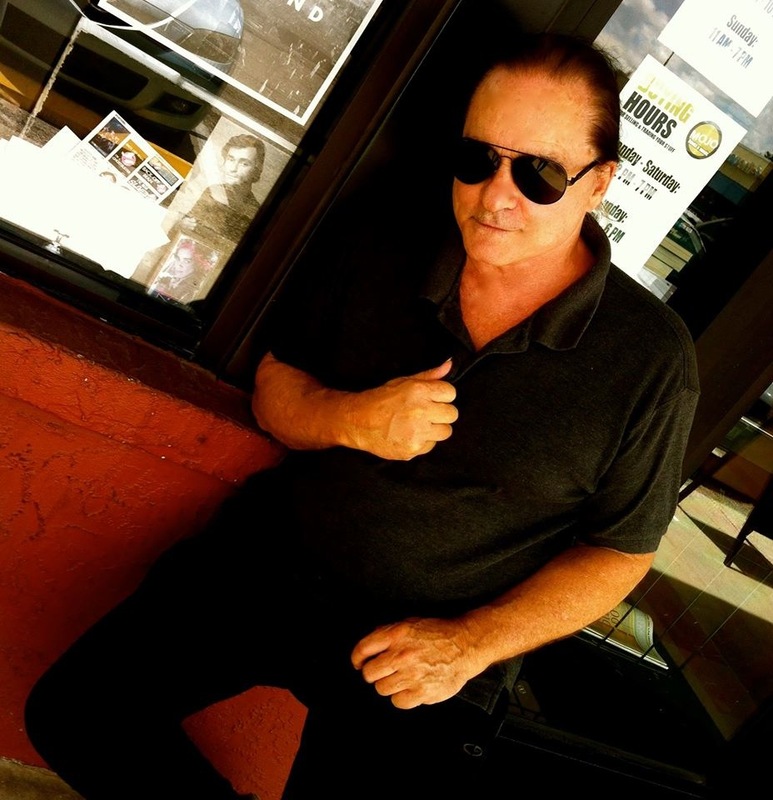 We also have stirring lyrics from the solo work of legendary X frontman, lyricist and poet John Doe, who has appeared in more than 30 films and TV shows and series. (We did ask John to furnish the lyrics to one of X’s greatest songs, “The Haves and Have Nots”, which also appears). We also pay tribute to an old friend of mine, the late Idaho Poet Laureate Emeritus Bill Studebaker, a man whose outrageous humor and sense of adventurism (especially white water kayaking) was matched by two things: his love of family, and his poetry writing. He was a fantastic poet whose works will live on for a long, long time. We present a half-dozen of his poems in a special tribute. Bill died in 2008 in a kayaking accident. In addition, the spring issue features three dozen fine poems from new and regular contributors from throughout the country. It opens with one of the more memorable conversation-interviews I’ve conducted, with former Poet Laureate of the United States Billy Collins. The interview features plenty of Billy’s trademark humor, while also touching on subjects near and dear to his heart – such as bringing contemporary poetry into the schools through his Poetry 180 project. The Hummingbird Review will be available through bookstores, on Amazon.com and on the website at www.thehummingbirdreview.com in mid-April, which is National Poetry Month. About 18 months ago, the person who would later become my literary agent, Dana Newman, asked if I would be interested in editing a very special memoir that she was representing. I took a look at the manuscript, and knew it was a book I would never forget. Now, here it comes. 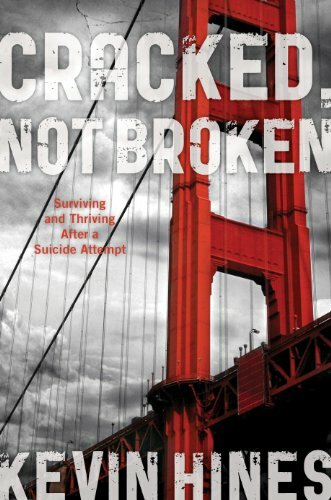 Cracked … Not Broken is the story of Kevin Hines, a young man from San Francisco, diagnosed with bi-polar disorder, who attempted to end his life at age 19 by jumping off the Golden Gate Bridge. He survived. Halfway through his plunge, he realized he wanted to live, and by the grace of God, his body turned in such a way that he survived impact. From there, Kevin started embracing life. 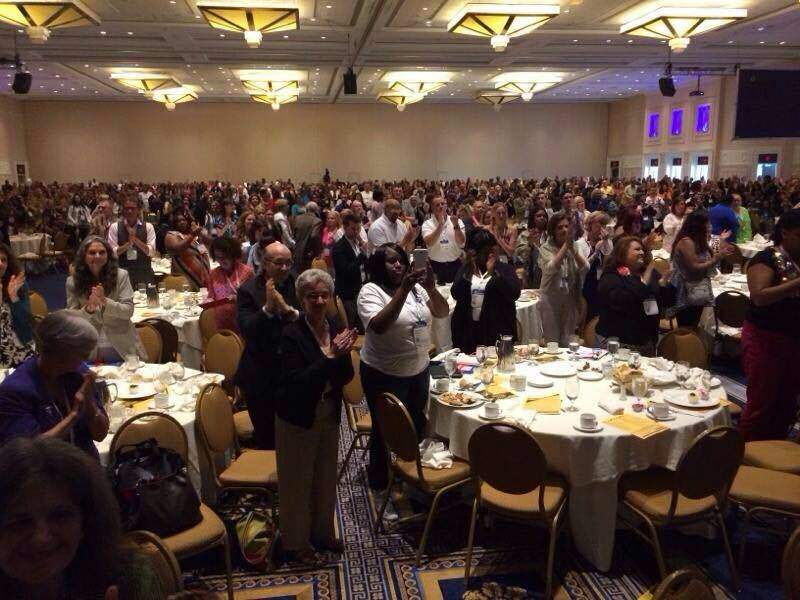 It was tough, and painful, but now, he is a dynamic, nationally recognized speaker and advocate for suicide prevention, a man whose story has inspired countless thousands. Maybe millions. This memoir is a testament to the will to live, and to learning to fall in love with life – after nearly ending it. There’s no sugar coating in this book: it is tough, gritty, emotionally raw, and leaves nothing to chance or speculation. Which makes it a great book. Cracked … Not Broken is available on pre-order from Amazon.com. All of them became famous. A few nights before, while having dinner, Gary and I talked about Kerouac. After the Six Gallery reading, and before heading to Japan for 12 years of study, Snyder took Kerouac up North Arete, a.k.a. the Sierra Matterhorn, a difficult six-hour climb just west of California’s Mt. Whitney. The two held a common devotion for Buddhism, but were otherwise as different as the West and East coasts from which they came. Not to mention that Kerouac wrote prose that sometimes rambled like an endless river (one particular sentence in his benzedrine-fueled novel, The Subterraneans, stretched more than 1,200 words). Conversely, Snyder lives and breathes punctuality, his work crisp and clear as cold, pine-scented air. In 1959, their Sierra Matterhorn climb appeared in Kerouac’s great novel, The Dharma Bums — along with a wise, resourceful protagonist virtually every reader before and since wanted to know like a next-door neighbor: Japhy Ryder. An intriguing comment I read about Kerouac’s work came to mind, something relevant in this era of memoirs, exposes, autobiographical novels, what’s true in novels and what’s fictitious in so-called memoirs. “Do you think that if Kerouac were alive today, his thirteen novels — On The Road, Dharma Bums, Big Sur, Tales of Duluoz and the others — would be considered memoirs?” I asked. Out rolled the raucous laugh, the fun-lover’s laugh, his eyes jovial as leprechauns — the side of Gary Snyder we all seem to forget while he’s reading his works and discoursing on everything from the dearth of deep thought in everyday life to instilling more arts into public education to conserving his beloved Sierra Nevada.